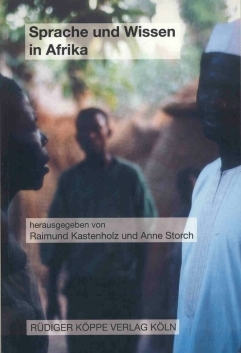 These proceedings of the 15th Afrikanistentag testify to the leading force of the German researchers in the field of the African studies. The project of creation of a representative professional association (Fachverband) and the aim at the enlarging of the international co-operation, as mentioned in the foreword, create a new hope for strengthening the dialogue between European centres of African studies, and between Africa and Europe. Generally speaking, the articles host many interesting theoretical, methodological and typologically relevant aspects without neglecting profound description and analysis, so that they are also of interest for those working in different parts of Africa and on different languages. This might sound like a commonplace holding for articles in Afrikanistik in general, but in fact it is an ideal that some manage to come closer to than others. The articles in this volume, in my mind, are the ones which come closer.